For more than 25 years Angela Oliveri has successfully represented her clients and thrived in the highly competitive industry of commercial real estate. Angela joined First Western Properties in 1997 after working for Terranomics Retail Services, Inc., which is based in San Francisco. During her nine years at Terranomics, Angela rose quickly and became one of four Senior Partner in their Seattle office. Angela’s expertise in acquisitions and market analysis led her to specialize in tenant representation and landlord pre-leasing of new developments in the western United States. She currently represents numerous tenants in 16 states. Working on the West Coast, in the South West and Southern regions of the U.S. has provided Angela with a broad view and unique perspective in the industry. Angela has significant transactional and consulting experience for both projects and tenants in multiple states. She has pre-leased more than three million square feet in retail projects for local and national developers. 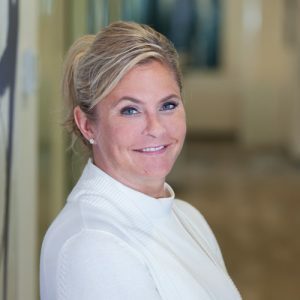 Her development clients past and present include the Macerich Company, Terranomics, Regency Centers, Starwood, Kite Realty, Madison Development, and Wakefield Properties. Angela provides market penetration studies and roll-out analysis for prominent companies such as: Lowe’s, PepsiCo, T-Mobile, Outback, Bonefish, PDQ, Jamba Juice, Six Degrees Restaurant, Dave & Busters, Chart House, P.F. Chang’s, Lowe’s, HSBC Bank, OSIM, Global Health, and PETCO as well as Costco and Home Depot previously. She has also represented several of these tenants in her capacity as Master Broker. Angela is a member of the International Council of Shopping Centers and the Commercial Brokers Association.